So after our ‘holiday’ we headed over to Split, as predicted, and then after spending a couple of days checking out the town and meeting some lovely hosts in our Airbnb accommodation, we cycled up the coast to Zadir. We discovered that the Croatian transport people obviously went to the same school as the New Zealand ones because it was cars, trucks and coaches all the way … on some very fast and hairy roads. Buses also seemed to be the transport of choice rather than trains. The trains turned out to be twice as expensive and take longer than buses … so it’s a no-brainer that people either drive or go by bus. There was certainly very little sign of any other idiots on bicycles and when we stayed at the campsites along the way, there wasn’t even a category for us … we had to take the pricing and classification of ‘motorbike’ (the other categories were variations around cars, camper vans and caravans). Also the camping was surprisingly expensive. Another downer was that the whole coastline was very touristy, which we hadn’t expected at all. The towns and villages were really lovely and very historic … positively chocked full of buildings that were ridiculously old … but unfortunately the swathes of tourists sort of ruined the experience. It was actually the first time in Europe that we had felt like there were just too many people. Most of the time so far we have been wondering where all the people are because most towns and villages have been practically deserted. I have to admit to a strong feeling of relief when we finally put the bikes on the bus and we had survived the Croatian traffic. After a few days in Zargreb, we headed off to Vienna to start our ride along the Danube (or Donau, as the locals call it). The temperature difference was amazing and we went from full summer to very definitely autumn. But the the Austria is beautiful and after the first day it started climbing the favourite country list to land at number 2 (after France at No.1) best country we have visited. It has a really lovely mix of stylish sophistication with an undercurrent of eclectic ‘cool’. On top of that the food was really good and the bread wasn’t too heavy. In fact the only thing that stops Austria sitting at number on on our list is that Austrians speak German and we don’t … but you can’t really hold that against them especially when they all seem to speak excellent English … it’s a close run contest! 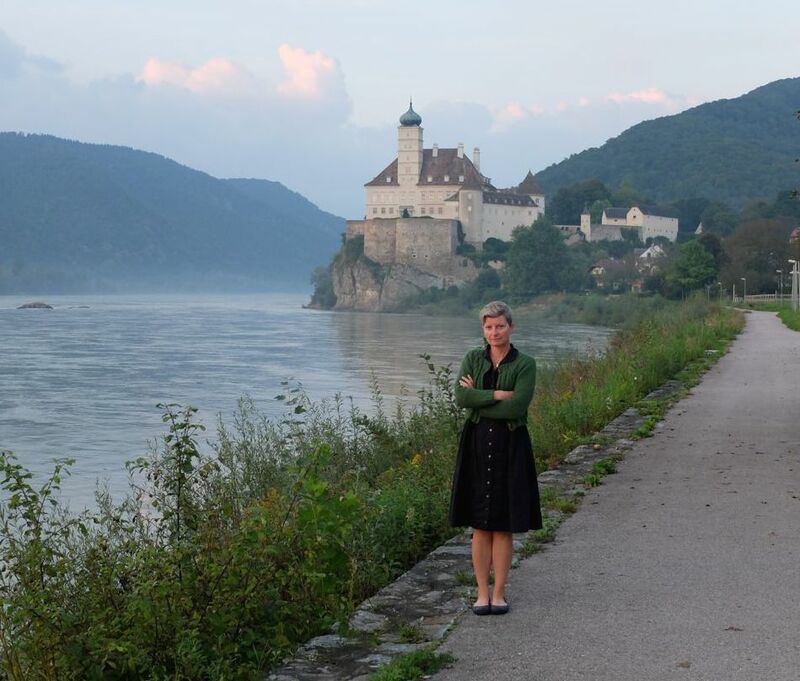 The cycling and the scenery are absolutely ‘gob smacking’ and to top off the experience, most of our days along the Danube were bathed in beautiful autumn sunshine. 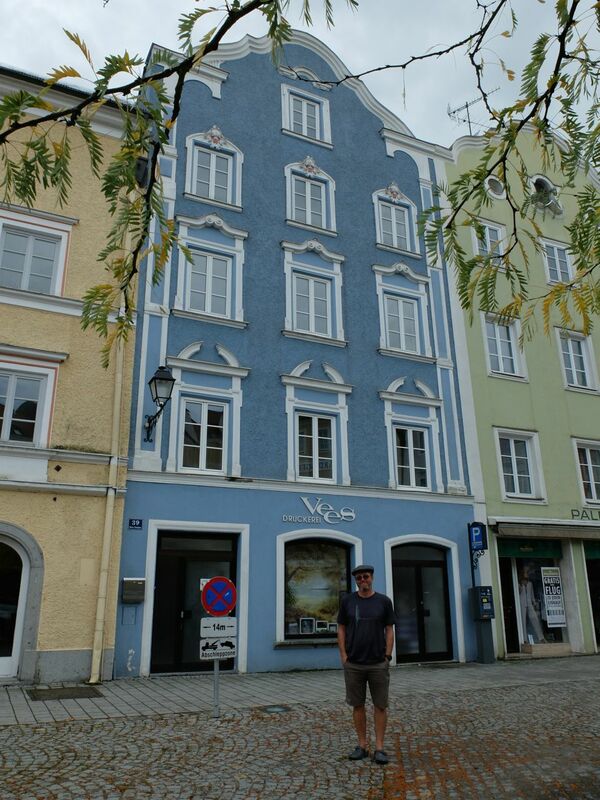 At Passau (where the Danube heads into Germany) we decided we hadn’t had quite enough of Austria so we changed direction and then followed the river Inn south west to Innsbruck. As you can imagine, with Innsbruck being a famous ski centre, it got colder and colder as we travelled up into the Alps. The scenery was stunning but those snow capped mountains come with some pretty chilly wind! Just so you know … camping in 1°C is uncomfortable, cycling in 10°C (with an icy wind and persistent drizzle) is also uncomfortable. We have stayed in a couple of B&Bs and hotels along the way, when we have been just too cold to contemplate the tent. This has created a new set of challenges as these places don’t have cooking facilities but to keep the costs down we have been cooking outside using our camp equipment rather than going to restaurants all the time. One of the challenges I have discovered as official washer-upper is that there is nowhere to put left-over food in these places. You can usually wash up in the hand basins but you can’t really leave cooked food in the waste paper bin. The solution I have come up with is to cut out the middle man (quite literally) and go directly from pan to pan, as it were … my risotto ‘poos’ were particularly successful! After Innsbruck we headed south on a couple of trains to Grenoble and thankfully the temperature is now a much more pleasant 20°C. Tomorrow we head off on the bicycles once again to follow the River Isere and then the Rhone down to Marseille. My weather app tells me that Marseille is topping 25°C these days, which sounds very pleasant. On the plus side, I am quite looking forward to a real bed once again as I have developed an allergy to my sleeping bag and my face goes very puffy overnight. I look quite strange in the morning and looking in the mirror in the cruel light of dawn is now even more horrifying than usual. Luckily after an hour of crisp (bloody freezing) air, things go back to normal so at least I can have a mid-morning coffee without scaring the waitress! The arm warmers I knitted for wearing on the bike have never been used in that capacity as I usually have my arms covered anyway. However, they have become invaluable as night wear. I have found that I like my arms out of my sleeping bag and feel too constrained if I keep them in so they would get quite cold … but my arm warmers have come to the rescue and team quite nicely with my wooly hat to protect all the bits exposed to the night air. The fuel bottle that goes with our multi fuel stove contains olive oil not petrol as we have found that the screw-type gas bottles we require have been redly available in larger cities and so we have never had to rely on other fuel types. However, our olive oil kept leaking from any other container we put it in … until the fuel bottle. It must look a bit life threatening to other people but it works for us. Evening wear … this is not a ball gown or anything of that sort, but instead it contains the items I layer on in the evening … plus my night wear. This means that when I unpack my trailer the items I put in the tent are: sleeping bag, pillow, sleeping mat, wash bag and evening wear cube … done! Coldest I’ve ever been was camping in Innsbruck so I have some sympathy – maybe try southern Spain (Seville is nice) or Portugal for winter – should be warm enough to camp sometimes & reduce costs? Its a long way to cycle but a train ride could be worthwhile? Waiheke Island is looking particularly pleasant this time of year. Last three days in Auckland have been 18C and there is hardly a cloud in the sky today.